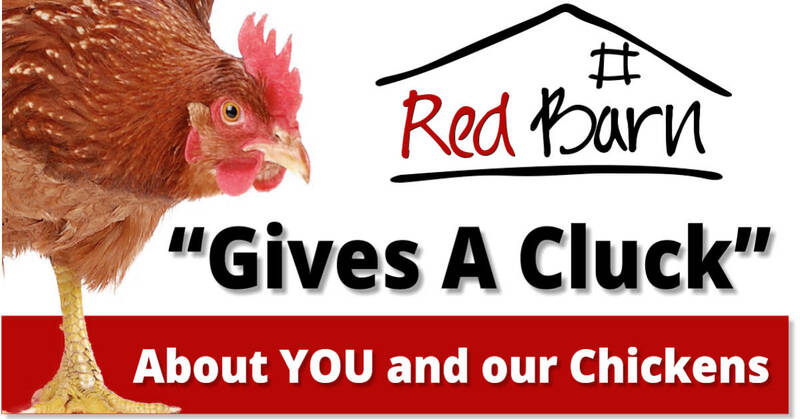 Please note: Red Barn do NOT sell LIVE chicken, laying hens, day old chickens, Fertilized Eggs or chicken feed. We also do not export! Need a current price list? Download our Price List here. George, in the Western Cape, South Africa is where we are based! You are welcome to visit our farm near the George Airport. Details and directions are on our price list. Our farm shop is open 8-5 on weekdays and 9-2pm on Saturday! We are also at the Outeniqua Farmers market, every Saturday morning until 2pm. The prices are the same and the market is conveniently situated near the Mall, just off the N2. We will try and answer all your queries and will be happy to show you how we grow our chickens, but please call and make an appointment as this is a working farm. Please, although we LOVE dogs, we have VERY big dogs that we need to put away! If you come with a dog, just stop and call us before you turn into our driveway to avoid any CHAOS! Remember we deliver our products directly to your home or business. Just let us know if you need a delivery. Currently we only deliver along the Garden Route from Port Elizabeth to Cape Town. Other deliveries may be arranged, but you will have to contact us to arrange something. Perhaps you would like to visit our other site RedBarn.co.za? Am zambian and interested in your day old chicks or fertilised eggs. Please advise price. WE don’ do day old’s or fertilized eggs. Sorry we cant help! I am a South African, starting a free range chicken small farm in the rural areas of the eastern cape. I am interested to come and visit your farm and see how you operate. You would have to make an appointment with us. September is not possible as we are short staffed. Just send a request to info@redbarn.co.za. We dont sell hens sorry! I down loaded your price list, but it is for 2014. Please could you send the latest price list. We don’t have plans for the chicken houses, you will have to visit us! good afternoon Lindy, i would like to know ,which medice is good for chicks between two days old or older,and how many month chicken take to start laying eggs,Thank you. We give our very young chicks some electrolytes in the first few days. If you dont have any, just a little sugar in their water will help them! The hens will start laying at about 21 weeks old. You are welcome to visit our shop on the farm and see how the animals are reared. Go past Outeniqua Eggs Continue to the end and turn right into our driveway! Be sure to look out for the BIG RED BARN! Just give us a ring first.